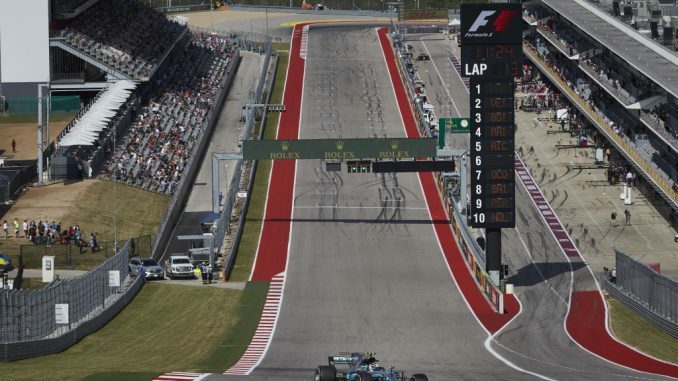 When Liberty Media took over the reins of Formula 1 they said that they wanted every Grand Prix weekend to be like a Superbowl, well here’s their chance to show what they can do in the home of “The Greatest Sporting Event On Earth” (if the NFL is to be believed.) We’ve got a bit more flash than you’d normally expect at a Grand Prix this weekend with Michael Buffer announcing the drivers, Usain Bolt waving the green flag to get the formation lap under way and we haven’t got a clue what they’ve got lined up for the podium ceremony! So we’d best get our top blogging game on after last night’s qualifying party! Hey everyone! Glad to be here as always!!!!!!!! !